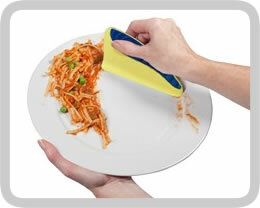 Make washing up in your kitchen faster easier and more eco friendly with the Dish Squeegee. According to consumer reports conducted in the US an average household can waste about 24,500 litres of water every year by pre-rinsing dishes prior to putting them into the dishwasher. 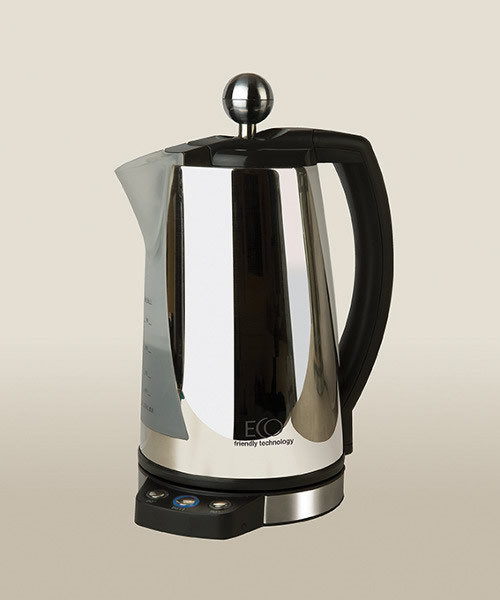 However by not rinsing pots, bowls and plates prior to putting them in the dishwasher you might also waste water if they emerge unclean! 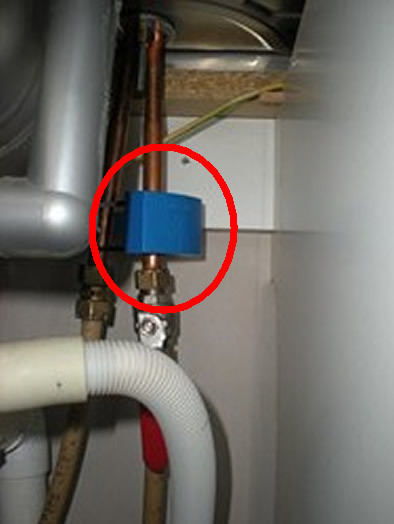 The Dish Squeegee is a silicon wedge, designed to scrap off dish washer bound plates and pans without pre-rinsing and thus conserving water and reducing your energy bill by preventing you wasting hot water. 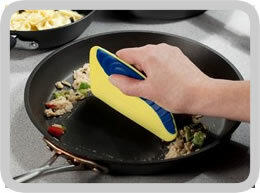 The Dish Squeegee has a unique and versatile three sided shape which makes it well suited for use on pots, pans, plates and cups of all shapes and sizes. Made of soft and pliable silicone that won’t scratch fine cookware or Teflon surfaces the Dish Squeegee may also be used to efficiently clear off cutting boards and counter tops. The Dish Squeegee is even compatible for dishwasher cleaning itself! 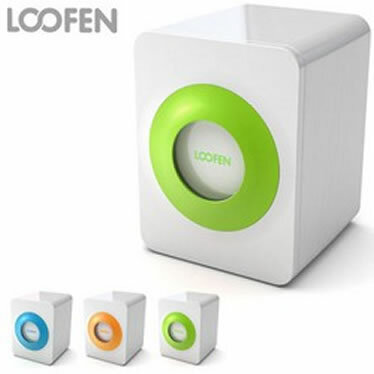 If you don’t have a dishwasher the Dish Squeegee still efficiently cleans the scraps from your dishes prior to washing and will therefore still help conserve water and reduce your energy bill. 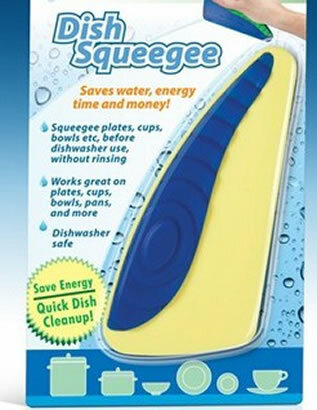 The Dish Squeegee was named as a 2010 Design Defined Honoree from the hundreds of thousands of products exhibited at the 2010 International Home and Housewares Show.